Miss Mani Monster! : Just a snippet - giveaway time over at Nail Call! Just a snippet - giveaway time over at Nail Call! Just a few short weeks ago, I blogged pretty heavily about the Color Club Halo Hues (Post 1, Post 2, Post 3, and Post 4 Yes, I'm obsessed.) It's common knowledge by this point that they're just phenomenal - just liquid, holographic diamonds for your nails. 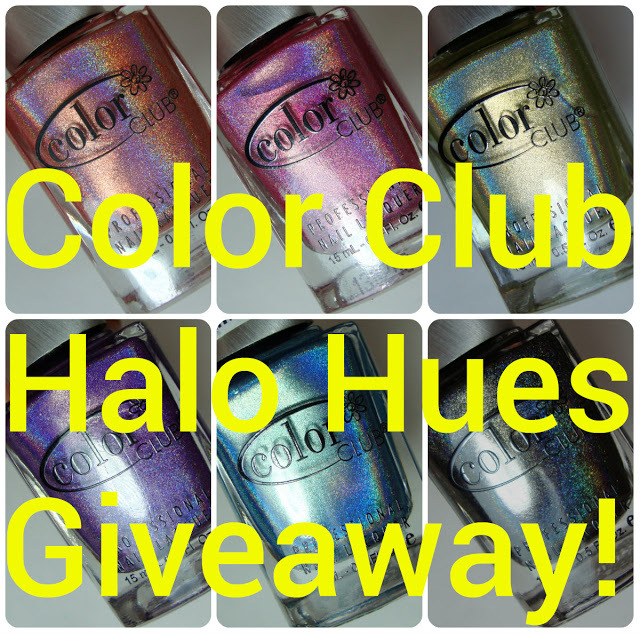 Nail Call is very generously giving away the entire Color Club 2013 Halo Hues Collection! It's so easy to enter that it's just silly NOT to! Head on over to her blog HERE and enter to win, and then proceed to blind me with your beautiful, holographic nails!! Credit to Nail Call for Halo Hues Giveaway image.